Target has held out on the mobile payment craze, opting to use its own app for payments — but soon, you'll be able to use your favorite mobile payment system at a store near you. 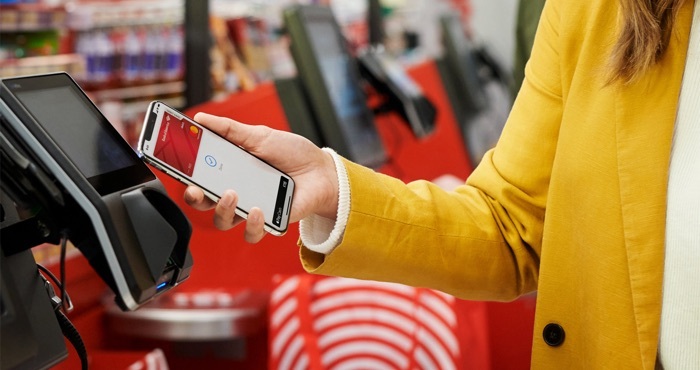 Starting today, Target will accept Apple Pay, Google Pay, Samsung Pay and contactless cards — and if you liked paying with the Target app, you still can. The system will be available in all 1,850 Target stores in the coming weeks, so look for it on your next shopping trip. Mobile payments are incredibly convenient, letting you shop without pulling out your wallet. A wave of your smartphone or smartwatch handles the payment, so you can just walk in and walk out. But big retailers like Target not participating meant that the magic of paying with just your smartphone was never quite realized: you still had to carry a wallet full of cards. (And you would occasionally find yourself looking foolish by trying to wave your phone at a payment terminal that didn't accept it.) With Target in on mobile payments, the last big holdout is Walmart, which only accepts payments through the Walmart Pay. But Target isn't the only one joining the mobile payment craze. Apple Pay is also coming to new retailers, including Taco Bell, Jack in the Box, Hy-vee supermarkets, and Speedway convenience stores. With these additions, Apple Pay is now accepted at 74 of the top 100 merchants in the US. Check the complete list of Apple Pay retailers to see if it's available for you, but for most iPhone users it's a convenient way to pay. Your choice of payment system is mostly going to be based on your smartphone. Apple and Android users are both locked into their respective payment systems. Samsung users have the choice of Samsung Pay or Google Pay, but Samsung Pay supports more than 30 million retail locations compared to Google Pay's 1.5 million — making Samsung Pay an obvious choice. To get started, here's how to set up Apple Pay, Google Pay and Samsung Pay. When you choose to start using a digital wallet on your phone, your PIN code becomes even more important. Make sure it's not easy to guess or follow an easy-to-guess pattern. And if you're an Android phone user, don't use the pattern lock. Researchers found that they could guess pattern locks with 95% accuracy. But no matter what kind of mobile payment system you're using, you'll soon be able to use it in more places. Look for mobile payments at Target in the next few weeks.